The Minister, the Reverend Derek Wensley of the Congregational Chapel at Willey Green was the co-ordinator for fund raising but since so many local people donated money and ran numerous fund raising events, including a cake stall each Saturday in the village hall, the task was made comparatively easy for him. At this time the Telephone Exchange, Glaziers Lane was redundant and came on to the market for disposal. By an enormous effort on the part of members it was purchased in 1985 and converted into a modern chapel more suited to their needs. 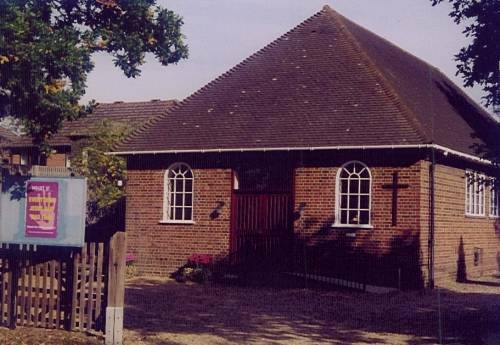 Since the Congregationalists had amalgamated with the Presbyterians to form the United Reformed Church the chapel took on the title of the United Reformed Church Normandy, but in 1991 became the Emmanuel Free Church. The tradition of self-help that has been so evident over the years continues and as their church enters the new Millennium there may well be plans for further development.